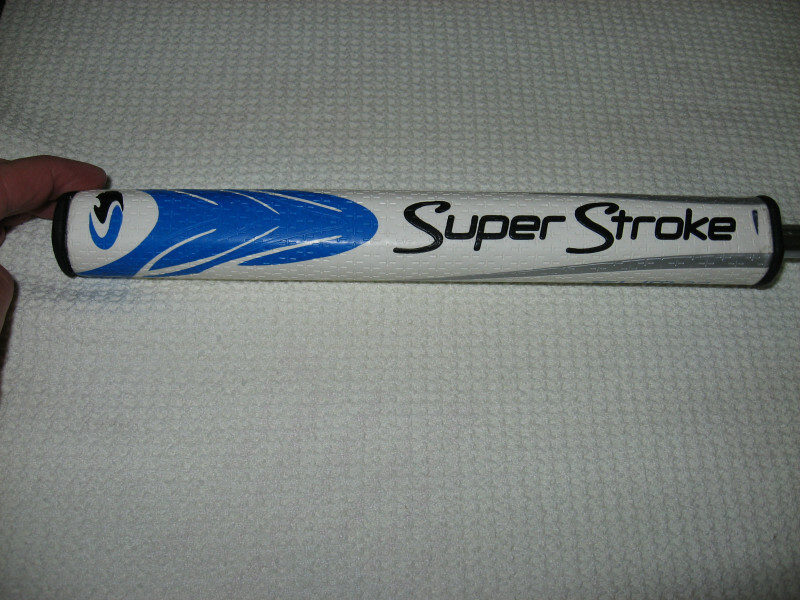 Great looking putter, perfect shape, with a matching Superstroke grip. Chuck, what's the head weight on this, do you know? If memory serves me 360g but I will weigh the complete club for you. 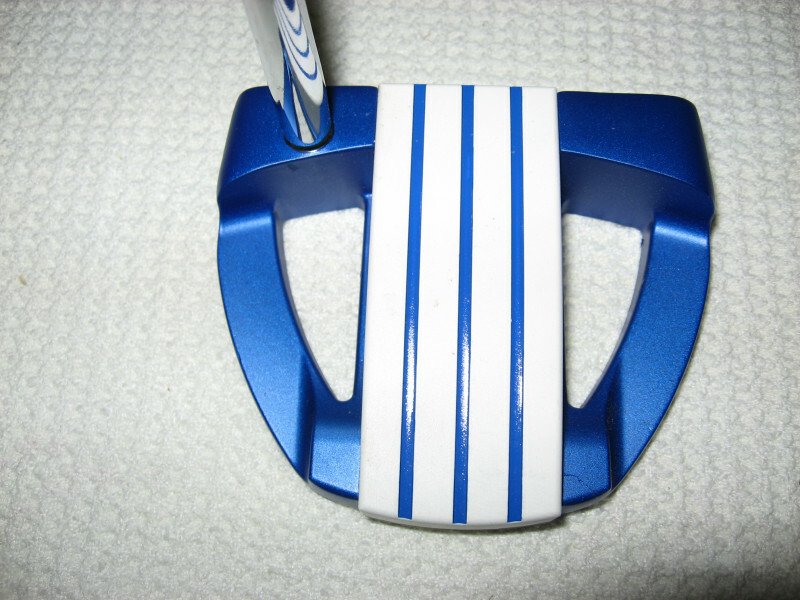 That's a great looking putter. I will be interested in the weight as well. 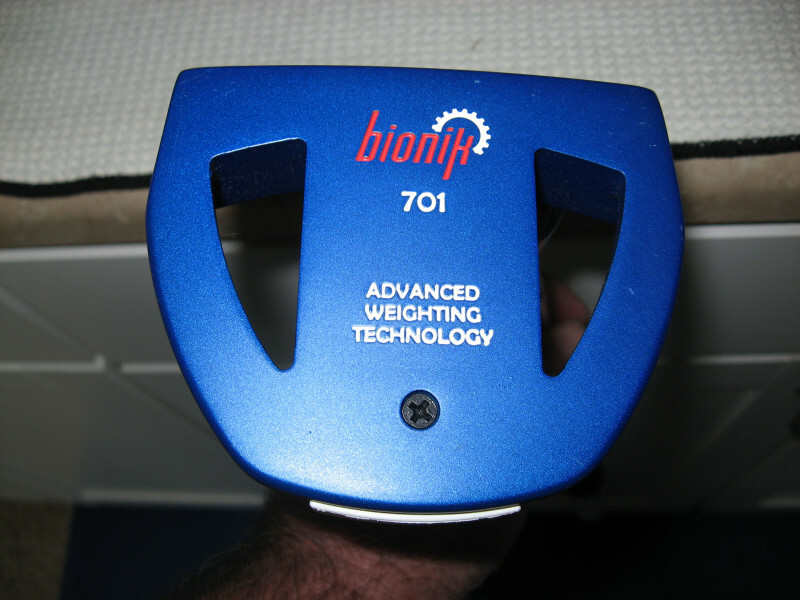 I have an old MentorSport Quadra II putter with two stainless weights and 2 aluminum weights in it. I don't remember what that totals out to for overall weight, but I can check it. If I were to replace it, I would want something fairly heavy as well. I like the looks of this matches my son's college baseball team colors. I'll take it if it's not sold. Payment sent! Ship to addy in Pay Pal info! Bill, the putter was mailed this morning Priority. 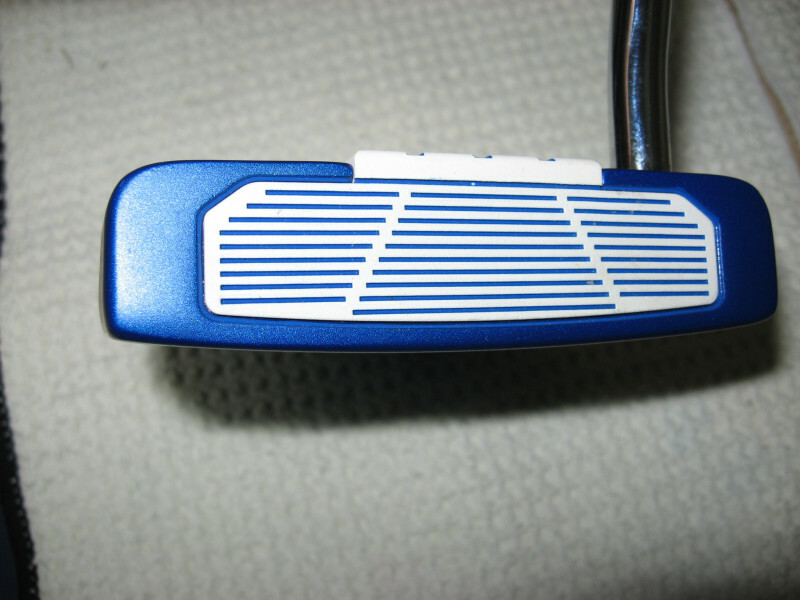 Very cool looking putter! I was tempted, but then I heard my wife's voice in my head and saw a vision of my future-self buried alive. If anyone is still looking for this putter golfetail.com has them for $30... probably not with the Superstroke grip but still not a bad deal. They also have red, copper, and blades.